A perfect wedding fit for any princess! The marquee was filled with candlesticks topped with lovely full floral balls of hyrangeas, roses, gypsophilia and dahlia’s. A candlebra took centre stage in this delicately designed room with the most beautiful of roses poking there way through. 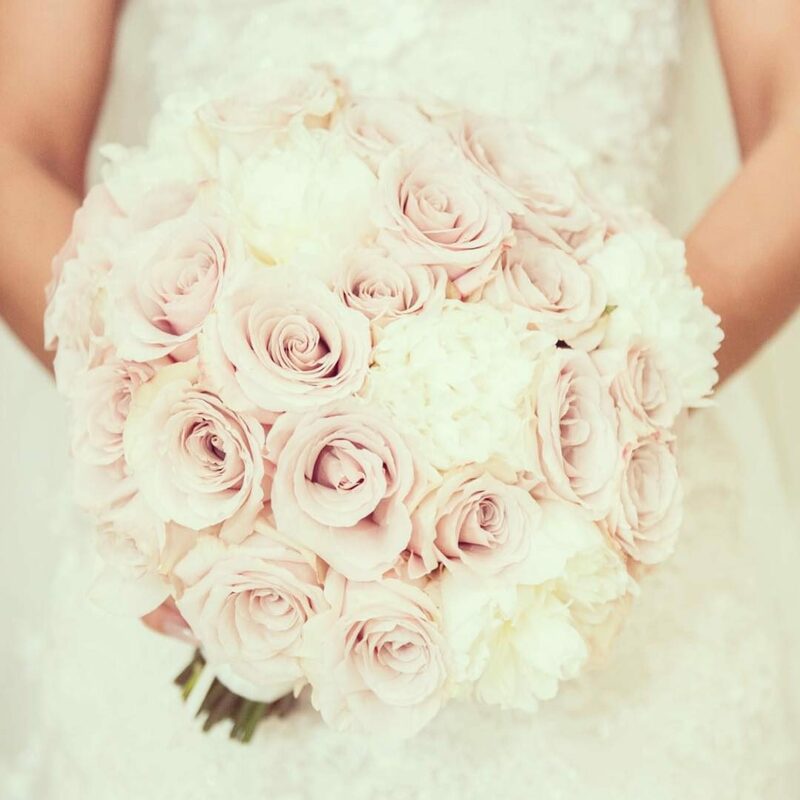 The bride walked down the aisle with a perfectly styled bouquet consisting of blousy white peonies, paired with a new favourite Quicksand rose. The flower girl walked in front with a dreamy gypsophilia pomander, it was so cute and every little girl deserves one of these! The bridesmaids carried gypsophilia bouquets to compliment the brides gorgeous bouquet and doesn’t the bride and her sisters all look stunning.